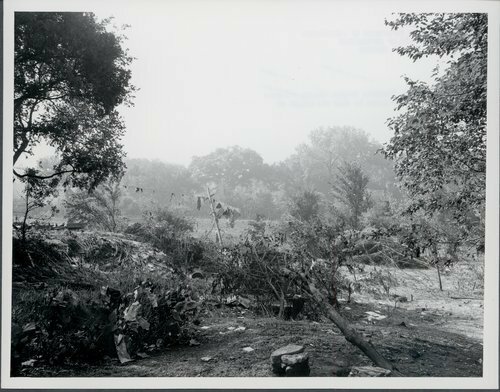 Two photographs show the debris in the aftermath of the 1951 flooding of the Marais des Cygnes and Osage rivers in Franklin County. The photos were taken by USDA Photo. Franklin County floods, Kansas - Outskirts of Ottawa, Franklin County, Kansas. Debris strung along telephone poles to show the height of the flood.